The Hermitage is a place where one can live in seclusion; a retreat. 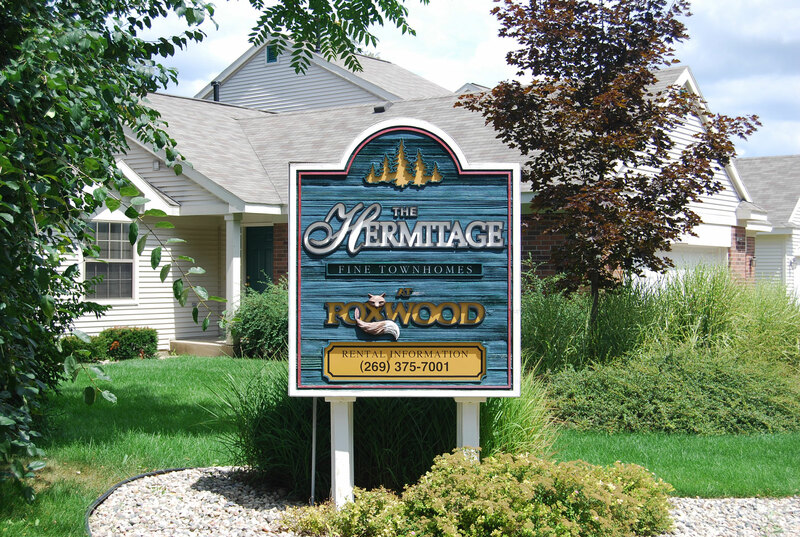 It was the natural characteristics of the land that inspired the name: The Hermitage is nestled into an existing woodland area, and sitting just beyond a small development of nice single-family homes, condominiums, and nearby Foxwood Apartments, The Hermitage offers townhomes in a peaceful setting. Whether you choose a ranch or two-story style, your new home will feel just like that...a home. Each is well appointed with features that include all modern appliances, whirlpool tub, finished basement area, attached two-car-plus garage, and more. Pets allowed in all buildings. Restrictions apply.